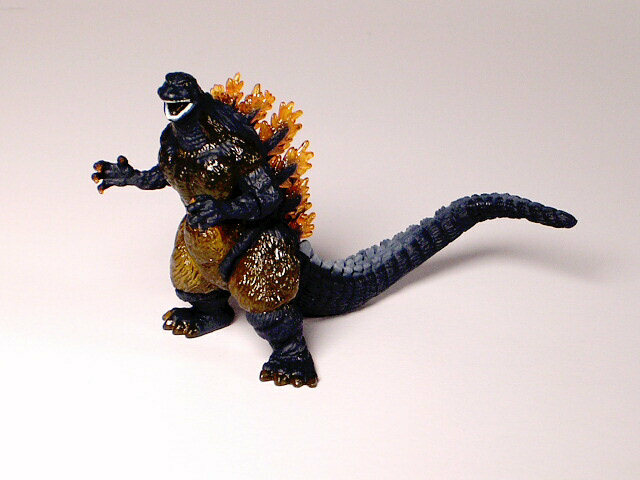 “Burning Godzilla” from the Godzilla Chronicles # 1 High Grade set. Each highly detailed vinyl mini figure stands approx. 2 inches tall. CLAWMARK TOYS WARNING!! Small parts might be hazardous for very young fans. 19 color pages of exciting movie action, artwork and descriptions of super weapons, monsters and equipment. These movie programs were only available a some of the theaters in Japan showing the movie. Great color photos of ALL the monsters in the new movie. 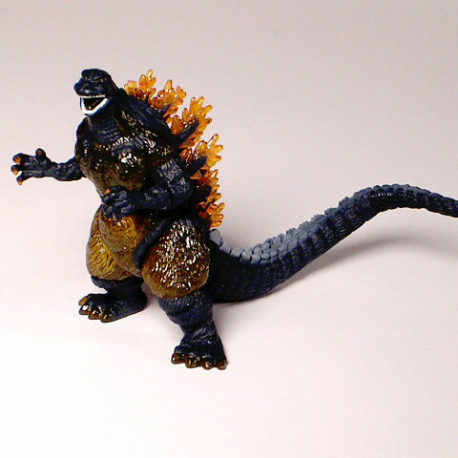 Includes several pages of figures and toys that were produced for the movie. 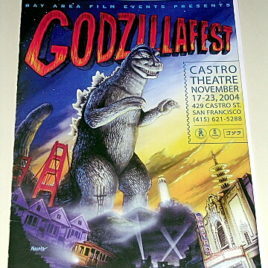 The Castro Theatre in San Francisco was the place to be November 17-23, 2004, in honor of Godzilla's 50th birthday The best Godzilla Film Fest we have known about took place there. This is the 16 page program book from the event sponsored by Bay Area Film Events which showed 20 Godzilla or Kaiju Films. The special guests were great:Russ Tamblyn (the first ever appearance in regard to War of the Gargantuas), Hiroshi Koizumi who was in Godzilla Raids Again, and many other Godzilla movies (he reprised his role in Mothra 1961 42 years later in Tokyo Sos), Tsutomu Kitagawa (the latest actor to don the Godzilla suit), Jerry Ito best remembered for his role of the vile Clark Nelson in Mothra 1961), Akira Kubo played many roles in Toho Films including Matago, Gorath, Son of Godzilla, Destroy All Monsters. There are biographies of all the guests in the program. Also every film shown is given several paragraphs of synopsis and commentary by August Ragone of Henshin! Online. 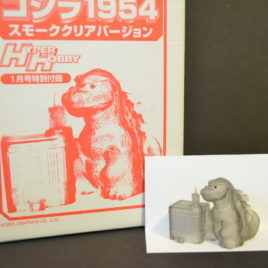 The center page has photos from some of the Godzilla Movies. The cover illustration is Mark Nagata.